Glam attire isn’t just for the Holidays! I don’t know about you but I love a good dress and with awards season right around the corner, I’m always on the lookout for versatile party dresses. When Simply Be reached out to me to put together some looks for their Step Out Campaign this winter season, I could not wait! I’m a huge fan of fun flirty dresses that can really be worn for any occasion and I love that Simply Be has so many versatile pieces on their site! For those of you not into dresses during Winter, I picked out this Simply Be off the shoulder blouse and paired it with my liquid leggings. I love a good off the shoulder top and this outfit was super comfortable, chic and basically ready for any event. Next up, I picked out this Jameela Jamil Mesh Crossover Dress. I was drawn to the asymmetric vibe of this dress and the textured fabric! I always look for fun, fashionable pieces that can be worn again and I am so happy that Simply Be carries brands that do just that! Since I was already feeling the playful vibes of this dress, I picked out this fun Marabou Feather bag to mix textures! I love that Simply Be not only has great clothing but fun accessories too! Lastly, I wanted something a little more glamorous that wasn’t sequined! I can always count on Little Mistress to give me just that. I recently wore this dress to a cocktail mixer and got so many compliments on it. Since the dress itself was the focal point, I opted for minimal accessories including this Satin Roll Top Clutch. 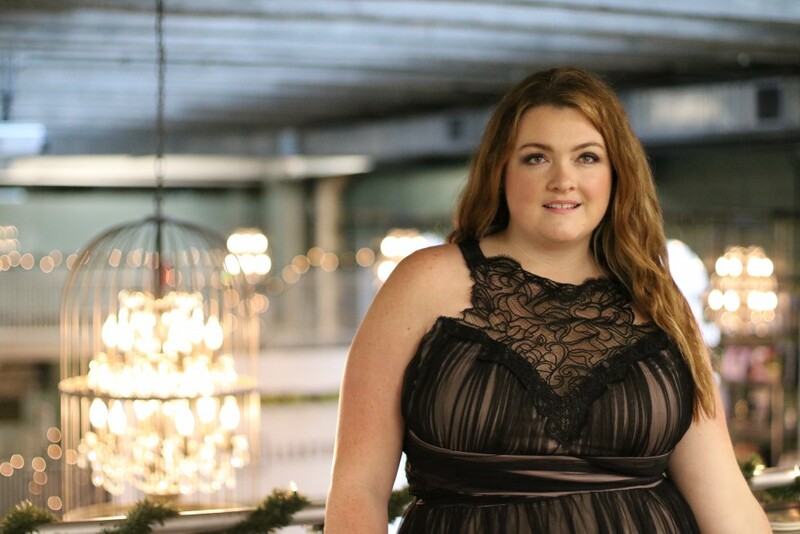 This post is sponsored by SimplyBe. As always all opinions are my own. « INTRODUCING BLACKLANE – RIDE IN STYLE LOS ANGELES! I’m so obsessed with these dresses an you look gorgeous in them!